Medway’s School Council meets during each term to discuss issues that affect the pupils and the life of the school. They represent other children from their class. This year the School Council has organised an event for the children to visit the Guildhall to learn how the people of Leicester were represented in the past. The School Council provides the pupils with a voice and with the opportunity to take responsibility and to contribute to the development of the school. 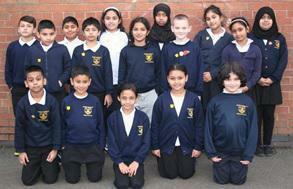 The members this year are representatives from each of the Key Stage 2 classes. Next year it will include Year 2 representatives in Key Stage 1. The students will be appointing new School Council members in September. "I enjoy meeting with the School Council. I can say how we feel about things in school and I have been a chair and have written the meeting notes down. We help in school and make decisions about the playgrounds and how we play". Everyone gets a chance to speak and sometimes we vote on different things. If you want something to happen in school then tell a school councillor.